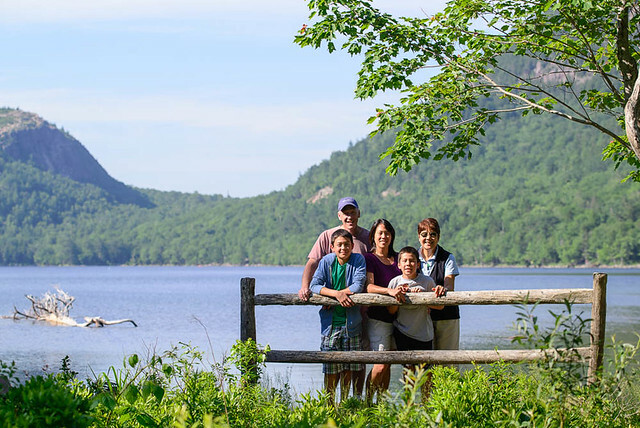 A trip to Acadia National Forest wouldn't be complete without a visit to Jordan Pond. 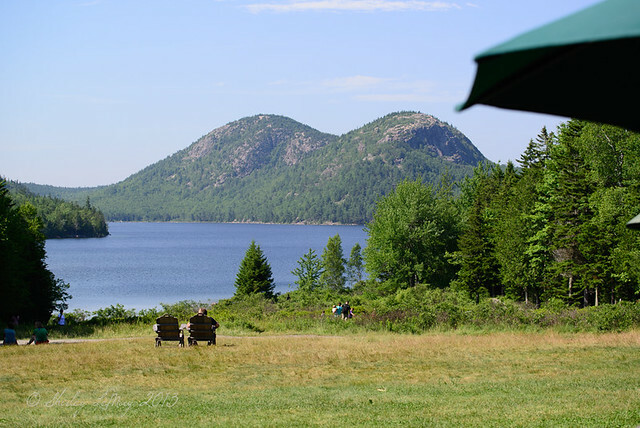 The only restaurant in the park, the Jordan Pond House, is famous for its huge popovers that you can enjoy either inside or (weather permitting) on the large lawn that looks over the Pond with views of the twin Bubble Mountains in the distance. 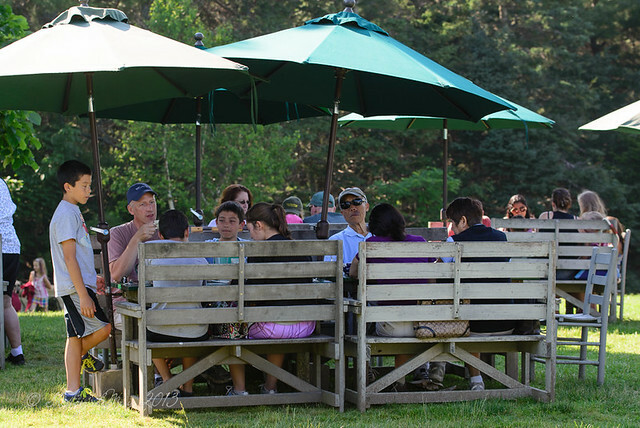 If you can swing a table on the lawn, that's the way to go - the view is so relaxing. Thank goodness for those umbrellas - they kept us shaded from the afternoon sun. And to think, just the day before we were bundled up in jeans and fleece jackets! If you don't want to wait an hour or more, reservations are a must, but they are only taken for the current day, starting at 9:00 am. My sister finally got through around 9:30 and we had a reservation for 2:30pm - a table on the lawn. They have a full service menu, but we were there specifically for tea and popovers. 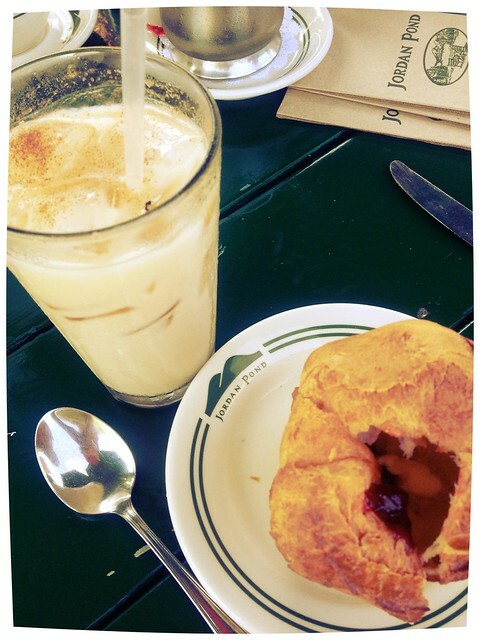 Because of the heat, I ordered an iced chai and it was a perfect accompaniment for the popover. After eating (we're doing a lot of eating on this trip! ), we walked down to the pristine clear pond. The water from the pond is used in the drinking water supply, so there is no swimming allowed. 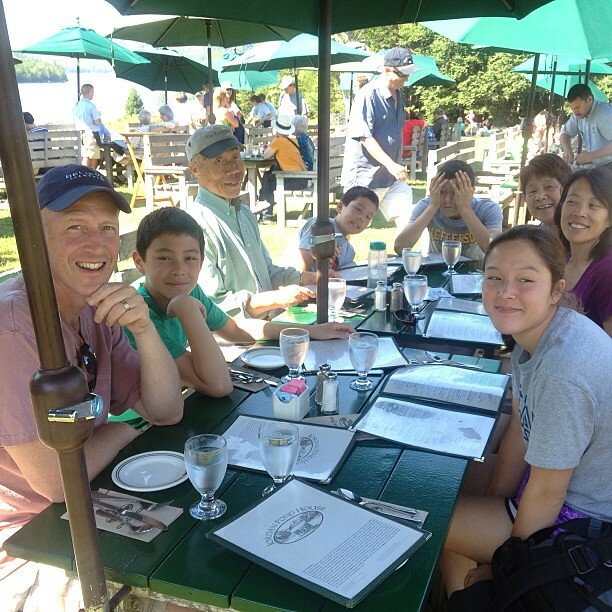 Hey, it's another perfect spot for a family photo - my sister's family, along with my mother. The day isn't over - we're heading to the top of Cadillac Mountain next. That family photo is gorgeous and so is the backdrop! I am a lover of chai so your lunch/tea looks great to me! Popovers - WHAT is that? Now you´ve made me curious, is it something I can find in Chicago as well? 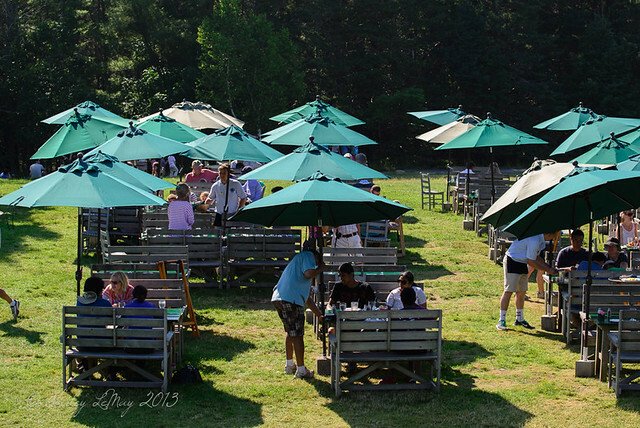 It looks so serene and peaceful there on the lawn in the Adirondack (or perhaps simply plain ole) chairs; and how interesting that places become renown for random items of food -- a popover for example. Your picture of your sister and her family is stunning - hopefully you got one at the same location with yours (it seems the perfect spot). Oh, am I late to the party, or do you have a new header? It is wonderful! What a beautifully serene setting this is, Shirley, and those popovers look amazing!!! Shirley, I've been living vicariously through you this month. Seems like the perfect family vacation and all your photos are just incredible. 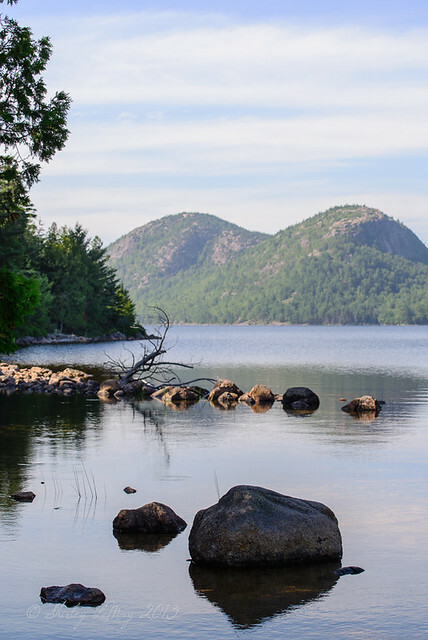 Thinking I may need to plan a trip to Acadia next summer. You are my new travel agent!